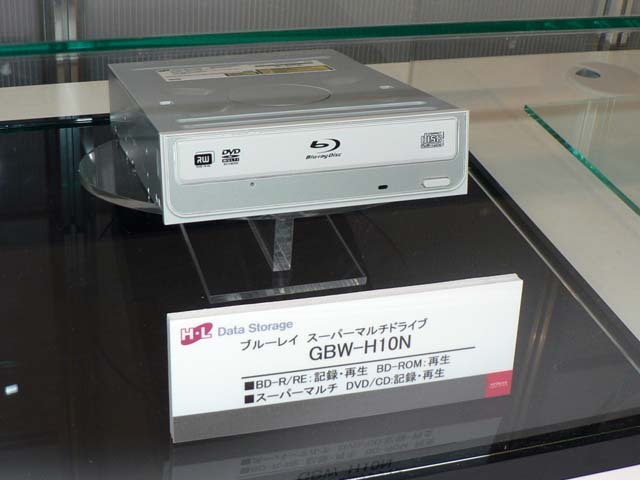 Storage system, the Blu-ray Disk (the BD) reading (BD-ROM), entry (the BD-R and the BD-RE) with corresponded to the record of the DVD/CD / playback " blue ray super multiple drive " " GBW-H10N " and, the portable player of animated picture and the music which utilize removable HDD standard " icVdr ", displays the USB adapter and the recorder et cetera. wow, I have a feeling that blu-ray writer's are going to flood the market sooner then we think . This is pretty wild, the market is so competitive already .